Annmarie Skin Care > Organic Skin Care > Best Facial Cleanser: Gel or Cream? Go to your local department store and check out your natural face wash options. If you’re like me, you’re easily overwhelmed with all the language—sensitive gel cleansers, deep clean cream cleansers, moisturizing oil cleansers, foaming face washes, the list goes on. How do you know what the best option is? Does it really make a difference? I mean, you just rub it on your face and rinse it off 30 seconds later. It turns out that it absolutely makes a difference, and like everything we suggest when it comes to skin care, what you use totally depends on your skin type and your skin care goals. The cleanser you use is the most important part of your skin care routine. It is the start and end of your day, it simultaneously clears off the dirt and grime and preps your skin for your products, so if you’re using the wrong one, your other products just won’t be as effective. It is super important to know what you are putting on your skin so be sure to check the ingredients. You want to make sure you’re not seeing ethanols or chemicals that could increase the overall appearance of aging. Use a cleanser with natural ingredients that aren’t stripping or detrimental to the skin’s mantle so that it can more readily absorb the nutrients that you offer it in the rest of your routine. The best natural face wash for your skin will be pH balanced. We have written about this in more detail before but typical soaps are pretty alkaline and the skin’s natural acid mantle is just about 5.5-6.5 on the pH scale so working with a soap that is too alkaline can leave the skin susceptible to things like clogged pores, dryness, dehydration, fine lines and wrinkles. Okay, general guidelines aside, let’s get a little bit more in-depth about the best natural facial cleanser for your skin type. A gel natural face wash is great for people that are working with oily or combination skin and people working with clogged pores. It’s a deeper cleanse that often includes ingredients like witch hazel and neem, which can help to balance natural oils and tighten the appearance of pores. We often recommend a gel cleanser for a post-workout clean because it can cut through dirt, grime, and sweat better than other types of cleansers. Our Citrus Mint Cleanser is pH balanced and it’s wonderful for oily to combination skin, clogged pores, and post-workout washes. We love it for balancing excess oils and for people working to tone their pores without stripping the skin’s acid mantle. We don’t often recommend this for dry skin because it can be a bit too drying but if you are a person experiencing dry skin with clogged pores that could be from environmental factors, this cleanser might be the one for you followed up by a hydrating serum and a protective moisturizer. A cream cleanser is awesome for people that have dry or dehydrated skin because it’s made with an extra moisturizing element in the formula like an additional oil that isn’t saponified. Typically this is a moisturizing oil like coconut oil so that the cleanser will wash away dirt and grime without removing the protective oil barriers. If you’re working with normal or combination skin that isn’t an oil slick in the t-zone or sensitive skin this is also a good choice for you. This type of natural face wash is more gentle than a gel and since it’s made to be both hydrating and moisturizing while removing build-up from your day, it’s wonderful for prepping skin to absorb the extra nourishment that it needs. Our Aloe Herb Cleanser is a gentle cream cleanser that is great for removing makeup (try putting it on a cotton ball if you’re removing makeup) and any kind of gunk your skin might have picked up throughout the day. We recommend it as a cleanser for everyone on the normal to dry skin spectrum, but if you’re working with oily skin or clogged pores, this cleanser may not be exactly what you’re looking for. 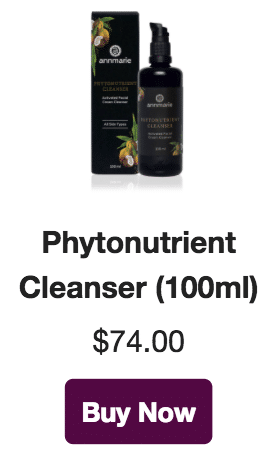 The Phytonutrient Cleanser is an activated facial cream cleanser, suitable for all skin types. 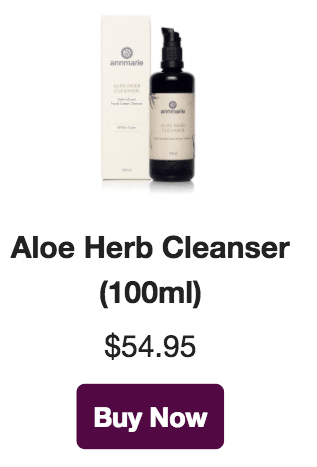 What makes this cleanser activated? An active cleanser means that it has excellent performance in cleaning the skin, without compromising its natural moisture barrier. While formulating Phytonutrient Cleanser, we wanted to enhance the cleansing process by adding in our proprietary serum blend, along with moisture-binding ingredients to improve skin hydration. What makes this facial cleanser truly activated is not only the formula itself, but the unique application of it on the skin. This cleanser hydrates as it cleans, leaving your skin impeccably smooth and cleansed. Do you use a Gel or Cream Cleanser? How did you choose? Let us know below! Do you offer a gel cleanser? What is the name of it ? I have combination skin with oil or sweats at the T-zone only when the weather is warm, other than that I would remain dry. In this case would a gel or cream cleanser be best? Please advise. 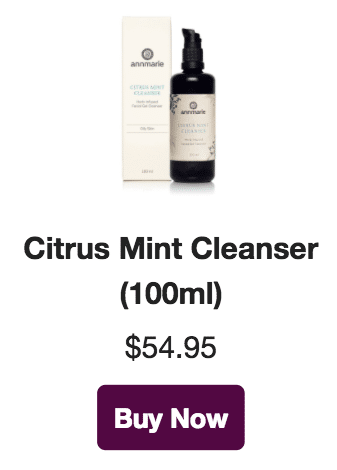 We do have a gel cleanser, the Citrus Mint Cleanser! It sounds like that’s the one for you! I use the Aloe Herb cleanser because I have somewhat dry skin. I have been using it about 3 years and love it. This cleanser along with the serums and oils are wonderful. I get professional facials about 4 times/year and always get comments about the great condition of my skin. Thank you for the nourishing and effective products and your dedication to using the purest and safest ingredients. I also was trying to give a five star rating and a one star showed up. It would not let me go back, so sorry! Love, love, love your products and all the information you send out! I use a gel cleanser, not because I knew that it was better for combination skin (which I SOOOO have! ), but because I liked the ingredients in this particular one the best out of what was offered at my local drug store. Glad to know my guess worked out 🙂 I try to make informed choices about what I am putting in and on my body. I have been following your blog for awhile now and just need to make the commitment to try the products! Argh…I was trying to give a 5 star rating, and it posted a 1 star…I didn’t mean it…really.